Donald Trump might declare a national emergency. His rationale is to spend $5 billion to build The Wall on our border with Mexico. The president cannot get Congress to approve it. So he has shut down part of the government. Now he’s considering whether to invoke some form of executive authority that a number of constitutional scholars believe is illegal. OK, then. What happens now? Congressional Democrats — no surprise there — are sounding the alarm. You can’t do that, Mr. President, they say. We’re going to sue. This is a reach way beyond the presidential grasp, they contend. Oh, but wait! Congressional Republicans are sounding a note of wariness as well. 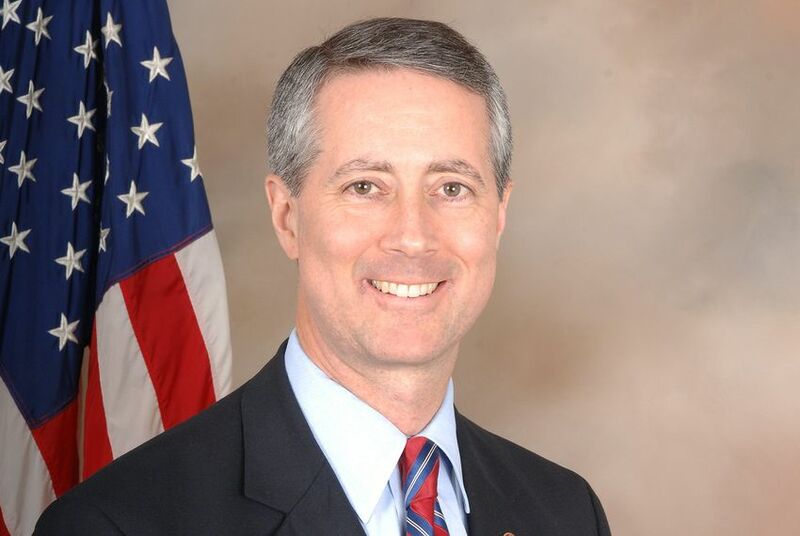 None other than U.S. Rep. Mac Thornberry, the former chairman of the U.S. House Armed Services Committee — and a committed Republican — says declaring an emergency and deploying military personnel to build The Wall is not in keeping with the Pentagon’s mission. Other congressional GOP members want the shutdown to end. They want to reopen the government and they want to then resume negotiations to seek a solution to this border security matter. The U.S. Constitution gives government funding responsibility to Congress. The president does have executive authority, to be sure. 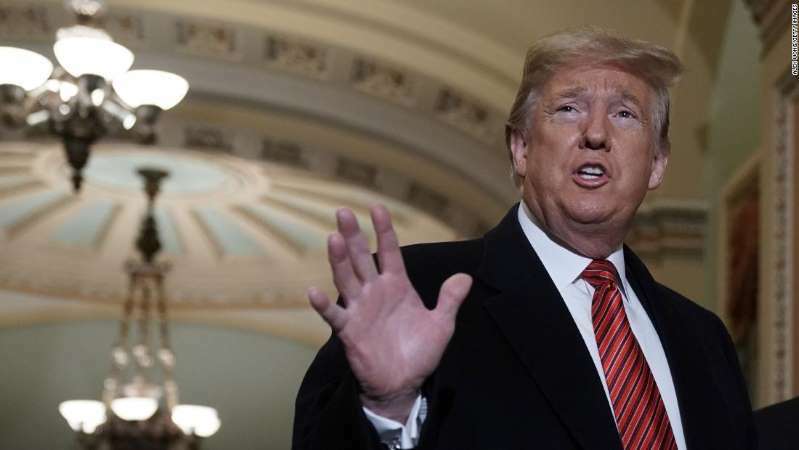 However, it remains an open question whether he can re-direct funds appropriated for defense needs to build The Wall that the president believes is a response to threats to our national security. Except that there is no national threat occurring on our southern border. Yes, we need to curb illegal immigration. The number of illegal immigrants crossing the border has decreased over many years. The president would have us believe that criminals are “pouring” into the country. They are posing an immediate threat to our national well-being, he says. It’s a fantasy. Donald Trump is trying to keep a campaign promise he never should have made in the first place, but he did. Now he’s on the hook. He believes he needs to keep it. I almost forgot! The most significant part of that pledge to build The Wall was that Mexico was going to pay for it. Mexico won’t pay, but Trump then declared in his 10-minute Oval Office talk Tuesday night that a new trade deal with Mexico is going to pay for The Wall. He didn’t say how that would happen. Hey, who needs details? Donald Trump is flirting with an actual crisis of an entirely different kind if he declares that national emergency. Allow me to offer a word or two of praise to a man who used to represent me in the U.S. Congress. Rep. Mac Thornberry, a Clarendon Republican, has said that Donald Trump is wrong to suggest that military forces can be deployed to build The Wall along our border with Mexico. That is not a military mission, Thornberry said. It is not in keeping with what we ask our men and women in uniform to do. Thornberry is the former chairman of the House Armed Services Committee and now serves as the panel’s ranking member while Democrats control the House. There’s a touch of “both sider-ism” in Thornberry’s statement, but he is nevertheless correct. Trump has shut down part of the government. He is considering whether to declare a national emergency and he might seek to reallocate defense money to build The Wall. Thornberry is correct to oppose this nutty notion. It well might be illegal, unconstitutional and might even constitute an impeachable offense. It won’t surprise me if Thornberry steers clear of the illegality question, given his partisan loyalty. Still, his statement today fills me with some optimism that GOP support for the president’s foolish insistence on building The Wall is beginning to crumble. The Texas Tribune has broached a subject that caught my attention, even though I no longer live in the congressional district represented by a man whose been in office for more than 23 years. The Trib reports that “many Republican operatives” believe Rep. Mac Thornberry, the newly re-elected Republican, is going to serve his final term in the House of Representatives beginning in January. Why? He might not cotton to being a member of the “minority party” in the House; he is surrendering his coveted Armed Services Committee chairmanship and won’t be able to serve as ranking member when he hands the gavel to his Democratic colleague. I’ve moved away, but I retain a deep interest in Texas Panhandle politics. The 13th Congressional District is part of that landscape. I’ll start by stipulating that the 13th District is arguably the most Republican congressional district in America. The next House member, if Thornberry calls it quits, is going to come from the GOP. Thornberry was re-elected this month with a whopping 81.6 percent majority in what was a “blue wave” year in other previously strong GOP districts. It’s less certain, but still reasonably certain, that the next House member will come from the Panhandle portion of the sprawling 13th, which stretches from the very top of Texas to the western outskirts of the Dallas/Fort Worth Metroplex. Congressional representation is rooted deeply in the Panhandle. So, who might the next House rep be? I’ll toss a couple of names out there for you to ponder. They are Republican Texas legislators. Both are from Amarillo. Both are friends of mine. Both are fine men with ample political experience to take on the job of representing the entire 13th District. State Sen. Kel Seliger and state Rep. Four Price? Stand up and take a bow. Seliger would seem like the better fit for the 13th District. He’s a retired businessman who essentially works full time as a state senator. His Senate district stretches from the Panhandle to the Permian Basin. He is a native of Borger who is as fluent in Permian-speak as he is in Panhandle-speak. He and Thornberry are political allies and friends, from all that I have gathered; then again, so are Price and Thornberry. Don’t misunderstand me. I think highly of Four Price, too. I’ve known him for as long as I’ve known Seliger. He has a successful Amarillo law practice and has risen to the top of the legislative roster in the 150-member Texas House. Texas Monthly named him one of the state’s top legislators after the 2017 Legislature. 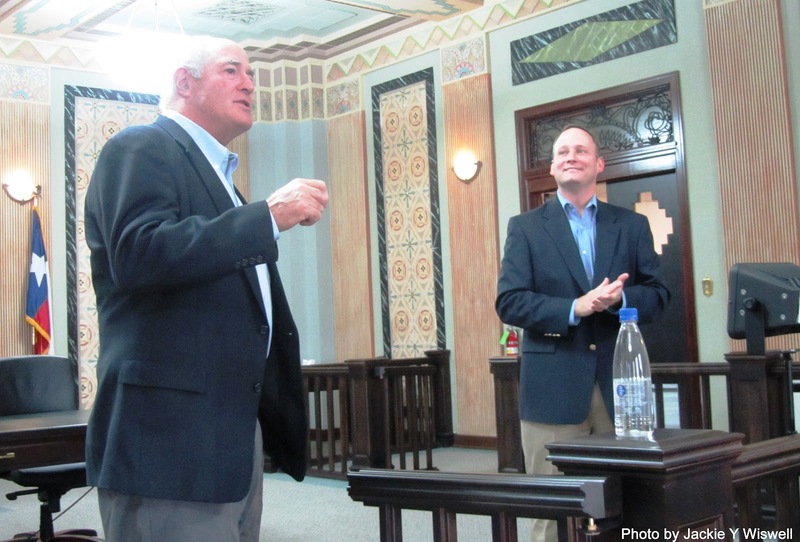 Seliger, though, brings some municipal government experience as well as legislative experience to any consideration of who should — if the opportunity presents itself — succeed Mac Thornberry. He served on the Amarillo City Commission as commissioner and then mayor before being elected to the Texas Senate. I am making no predictions. I merely am stating what I think might happen if the Texas Tribune’s report is accurate. Let’s all stay tuned and wait for the fur to fly when the next Congress convenes. Here’s a thought or two to consider, according to the Texas Tribune. Texans who have occupied a lot of chairmanships in the U.S. House of Representatives might be set to bail on the House in the wake of the newfound status as the minority party in the lower congressional chamber. That’s according to “many Republican operatives” on Capitol Hill, reports the Tribune. Thornberry won’t be able to serve as “ranking minority member” of Armed Services; GOP rules mandate that he is term-limited out of that rank. So he’ll become just one of the gang of GOP members serving on the panel. I have a special “bond” of sorts with Thornberry. He took office in the House in early January 1995, in the same week I reported for duty as editorial page editor of the Amarillo Globe-News. I covered his congressional career regularly until I left the paper in August 2012. He and I developed a good professional relationship. 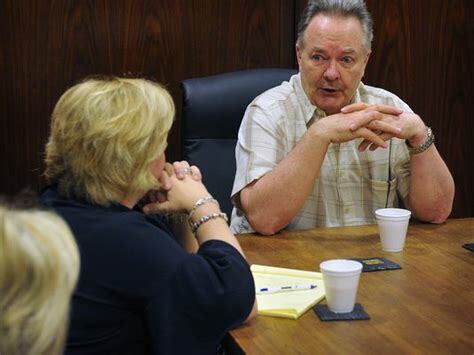 I rarely agree with his voting record while representing the sprawling 13th Congressional District, although my position at the newspaper required me to write editorials supporting him, given the paper’s longstanding conservative editorial policy. And, to be fair, Thornberry has been pilloried unfairly over his more than two decades in office because of the term limits issue. He was elected in 1994 as part of Newt Gingrich’s “Contract With America” team of GOP insurgents. The CWA called for term limits for members of Congress. Thornberry never pledged to limit his own service to three consecutive terms, but he did vote to approve it when the House considered it. He took office in 1995. It’s now 2018. Twenty-three years after becoming a freshman member of the House, Mac Thornberry is about to become a former chairman of a key congressional committee. The Republican majority is set to become the GOP minority. That, according to the Texas Tribune, might be enough to send Thornberry packing and returning to the Texas Panhandle in 2021. Yep, elections do have consequences. We’re about to see one of those consequences occur on the new day that is about to dawn over Capitol Hill. TEA Party? Where have you gone? Don’t you remember when the 2010 midterm election produced a “shellacking” of the Democrats? It was delivered by what was then called the TEA Party. Eight years ago, the TEA Party was the dominant insurgent force within the Republican Party. The TEA Party comprised Republicans who were fed up with being taxed too much. 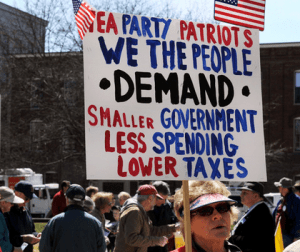 Indeed, in recent years I’ve been using the term “TEA Party” in all capital letters, because it was born of a movement that proclaimed itself to be “Taxed Enough Already,” hence TEA Party is an acronym. The TEA Party drove then-House Speaker John Boehner — a leader of the “establishment wing” of the Republican Party — to just this side of nuts. Indeed, U.S. Rep. Mac Thornberry, a Clarendon Republican and a friend/ally of Boehner, told me he believed Boehner was going to bail from the House because he was tired of battling the rebels within his GOP caucus. It turned out Thornberry was right. Boehner quit the speakership and the House in 2015. He’d had enough. The TEA Party has its share of lawmakers who’ve taken their message forward. Ted Cruz of Texas is one of them. But since about 2016, we hear less of the TEA Party and more of another insurgent group of Republican lawmakers calling themselves the Freedom Caucus. It, too, is a low-tax outfit committed to cutting government spending on programs that have become part of the national fabric. You know, programs such as Medicare, Medicaid … those kinds of things. The Freedom Caucus has picked up where the TEA Party (seemingly) left off in opposing the Affordable Care Act. They want to repeal the ACA, but I haven’t heard about whether to simply repair the ACA, make it better, preserve those elements of it that are working. The Freedom Caucus has become every bit the political gadfly that the TEA Party became to the point of sending a speaker of the House of Representatives packing in the middle of his term. It’s not that I miss the TEA Party. I don’t. I’m just wondering out loud how these movements come and go and how replacement insurgencies come to the fore. I happen to favor good government, not necessarily big government. The TEA Party — wherever it is — wants to gut government. As one who appreciates the role government plays to improve people’s lives, I wouldn’t mind one bit if the TEA Party would simply vanish, never to be heard from again. Same for the Freedom Caucus. My old buddy Greg Sagan is trying to do the nearly impossible: defeat longtime incumbent Republican U.S. Rep. Mac Thornberry in this year’s midterm election. Sagan has gotten some help from a most unlikely source. The question now though is this: What good will it do? I have an answer: Hardly none. Still, the Houston Chronicle, which sits way down yonder on the Texas Gulf Coast, has urged readers of the paper to vote against Thornberry, who’s running for re-election in the 13th Congressional District, stretching from the Texas Panhandle to the Dallas/Fort Worth Metroplex. The Chron is angry that Thornberry was one of four Texas Republican congressmen to oppose aid to the Houston area in the wake of Hurricane Harvey. You remember Hurricane Harvey, yes? It dumped all that rain a year ago along the Gulf Coast from Houston to the Golden Triangle. Three of the four naysayers aren’t seeking re-election. Thornberry is the last man standing. He has drawn the ire of the Houston Chronicle. One of the GOP lawmakers who said “no” to Harvey funds is Sam Johnson of Plano, who happens to be my congressman now that my wife and I have moved to the Metroplex. The task for Sagan now is spreading the word among Texas Panhandle voters about the seeming heartlessness of a native Texan who just couldn’t support legislation aimed at helping fellow Texans in maximum distress. I am pulling for my pal, Greg Sagan. Donald J. Trump’s reported anger over first lady Melania Trump’s desire to watch CNN aboard Air Force One brings to mind a curious conversation I had with a key staffer who worked for U.S. Rep. Mac Thornberry, a Clarendon Republican who represents the 13th Congressional District of Texas. Trump wants all the TVs on the presidential jet to be tuned to Fox News, his favorite news/commentary network. He considers CNN and other news networks to be purveyors of “fake news.” What makes ’em “fake”? They report news the president deems to be negative. I presume he’s issued the same edict for the TV sets throughout the White House. So, negativity equals “fake news.” Got it? OK, back to my conversation with the Thornberry staffer. Oh, my! Heaven forbid! A staffer for a conservative Republican member of Congress would get her news from National Public Radio! She didn’t want it heard, I guess, by her fellow staffers that she was listening to NPR. I laughed at her over the phone. She happens to be a friend and we have had a very constructive and productive professional relationship over the years. I was able to needle her about NPR and the myth that the publicly funded radio network was somehow a progressive mouthpiece for left-leaning politicians. Mary Lou Robinson Courthouse? Yes! My hunch is that you can take this to the bank: Congress is going to attach a revered federal judge’s name on a courthouse in Amarillo, Texas. I want to offer my heartiest applause from afar. U.S. Sen. John Cornyn and U.S. Rep. Mac Thornberry, both Republicans, have introduced legislation to rename the federal courthouse building in downtown Amarillo, the Marvin Jones Federal Building and Mary Lou Robinson United States Courthouse. Yes, it’s a mouthful. However, Judge Robinson long ago deserved this honor. 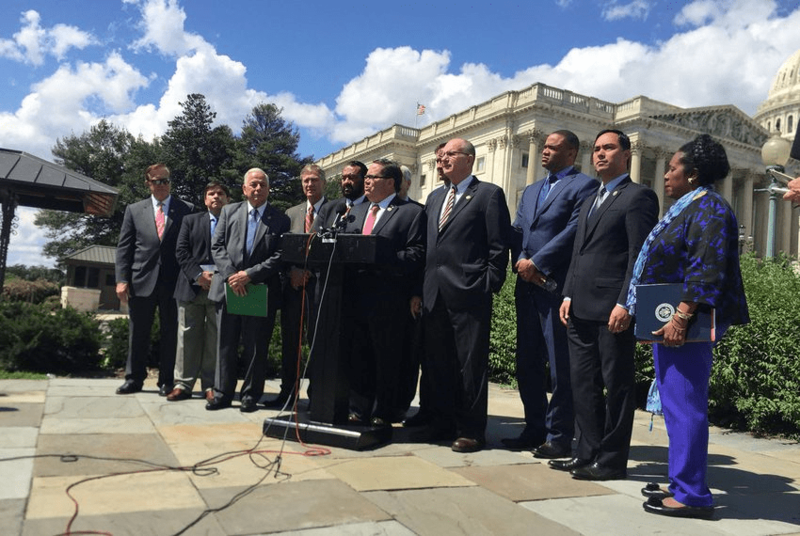 The House of Representatives passed House Resolution 5772 by a voice vote this week. It’s headed to the Senate, where Sen. Cornyn is carrying this legislation. I am honored to have made Judge Robinson’s acquaintance. She and I served in the Rotary Club of Amarillo together, which is where I got to know her. She remains the gold standard for judicial candidates who seek elected office in the Texas Panhandle. I know that from my job as editorial page editor of the Amarillo Globe-News, a job I held for nearly 18 years. 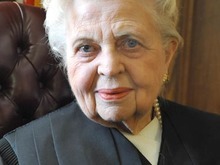 Almost to a person, whenever I would ask a candidate after whom they might model their judicial performance, they would mention Mary Lou Robinson. She set the bar high and judicial candidates for county or state district benches would declare their intention to emulate her. If enacted, this would be the first federal courthouse named after a woman within a five-state area. She served Potter County’s judicial system, as a court at law judge and as a state district judge; she gravitated to the 7th Court of Appeals. Then in 1977, she received a federal judicial appointment from President Carter. The building that eventually will carry her name is now known as the Marvin Jones Federal Building and Courthouse. With all due respect to the great Marvin Jones, he will have to move over to make room for a true judicial giant. I am delighted to hear about this pending name change. So … what about cyber security? Those nagging, knotty questions about cyber security keep recurring. Robert Mueller’s legal team has indicted 12 Russian goons for conspiring to meddle in our 2016 election. Vladimir Putin, the Russian strongman, likely ordered it. Our intelligence brass has concurred, as has the intelligence arms of our major allies. Donald Trump hasn’t yet acknowledged the existential threat to our electoral system. What’s more, the Russians likely are seeking to screw up our 2018 midterm elections, too. Back to a question I have posed before: Where is our cyber security reform? About a decade ago, the speaker of the U.S. House of Representatives, John Boehner, gave my former congressman, Mac Thornberry, a Clarendon Republican, the task of developing a way to protect our nation’s cyber network. Thornberry’s all-GOP task force issued a detailed report. Then they were done. They all went back to doing whatever it is they do. As the nation wrings its hands over cyber security and wonders how it is going to protect its secrets from foreign foes — such as Russia — I haven’t heard a sound from Rep. Thornberry! Speaker Boehner spoke quite highly of Thornberry’s skill in leading this reform effort, if my memory serves me. Yes, Thornberry is a smart fellow. But what in the world are we doing to deter the kind of manipulation and possibly decisive meddling that occurred in 2016? 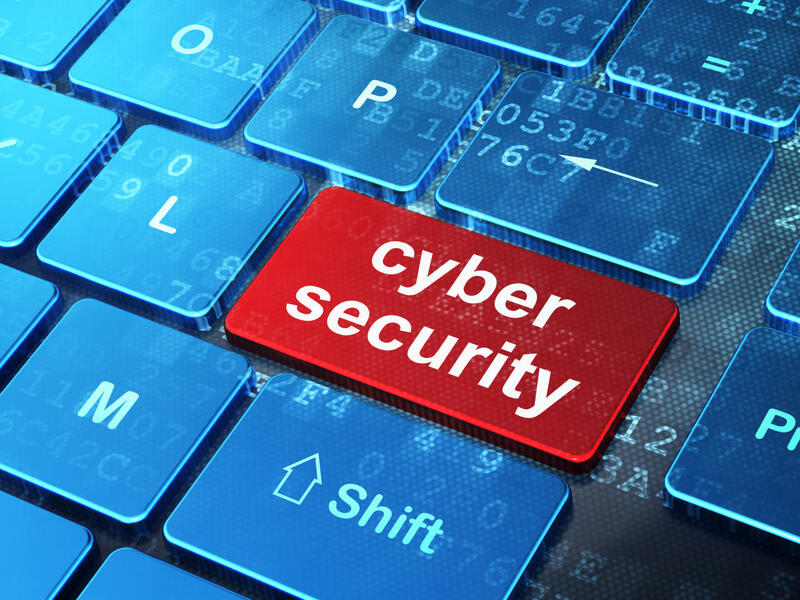 Have there been improvements to our cyber network to prevent future interference? The fellow who used to represent me in the U.S. House of Representatives presumably led the effort to make us safer against such meddling. Didn’t he? Well, shut my mouth and call me speechless. U.S. Rep. Mac Thornberry, the Clarendon (Texas) Republican, has weighed in with a stout statement of criticism of Donald J. Trump’s “zero tolerance” policy on illegal immigration. Can you believe it? Neither can I. But he said it. Welcome aboard the indignation band wagon, Rep. Thornberry. “There is no excuse for separating children from their parents,” Thornberry said. He is right. No excuse. None. Zero. Yet the president of the United States keeps doubling and tripling down on this hideous policy, all the while blaming congressional Democrats for enacting a bill that they never enacted. U.S. Sen. Ted Cruz, the Texas Republican, has promised to introduce legislation that keeps families united. He has been joined by the state’s senior U.S. senator, John Cornyn, another Republican lawmaker. U.S. House Speaker Paul Ryan has declared his intention to work toward ending this policy. Will the president listen to these individuals? Will he do what he needs to do and stop this hideous treatment of children who have been caught up in the immigration sausage grinder? He will if he has a speck of decency in his soul. Many of us, though, wonder if he does.